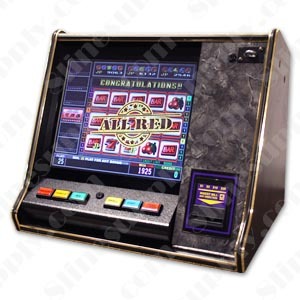 Premium Flat Screen 15" LCD monitor capable of playing all CGA, VGA and XVGA games. Note: The operations of these games and the features therein may be subject to various state, provincial and/or local laws or regulations. It is not intended to solicit the sale of such games in any jurisdiction wherein the same may not be lawfully sold or operated. It is the responsibility of the purchaser to fully investigate the legal requirements in their own jurisdiction prior to purchase. 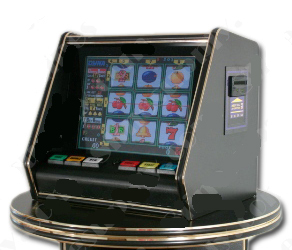 Mitchell enterprises, Slotsdirect.com and their employess will not be liable for any legal action or use prohibitions placed on these machines after they are sold. ALL SALES ARE FINAL. NO RETURNS NO REFUNDS under any circumstances whatsovever.